It with immense pride that we can announce that on the 4thMarch 2019 we were presented with the award for Excellence in Customer Satisfaction by Fairtrades. 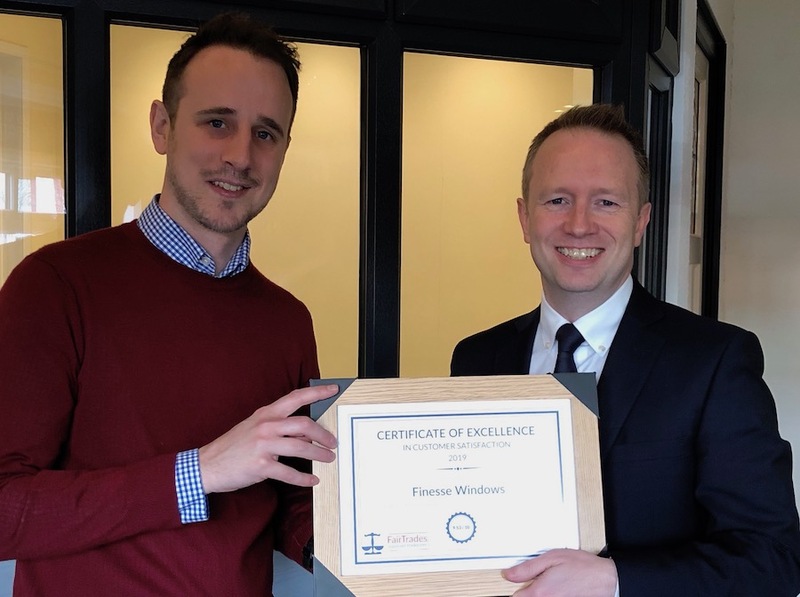 We have been associated with Fairtrades since 2005 and we received this award in part in recognition for the length of time that we have been able to maintain our exceptionally high levels of customer care for all our customers across the West Midlands. Being able to receive an award like this on behalf of our magnificent staff is a huge privilege and one which we do not take lightly. We are extremely fortunate to have such talented and caring staff working along side us. We know that it is only through their hard work and dedication to their craft that we are able to achieve the results we do for our customers year on year, decade on decade. It is probably not widely known that a large number of team members are involved behind the scenes for every installation we undertake. Most of our clients really only get to meet the front line staff i.e. our designers, surveyors and installers. But equally important are the crew that make everything happen in our factory/showroom. Many of whom have been with our family business for many decades. We are equally indebted to our teams of fabricators, receptionists, accounts and admin staff, production and installation managers, service engineers and customer care staff. It really is a collective team effort and one that we are very proud of. Therefore, we are extremely pleased to be able to receive this award on behalf of all our colleagues involved – all of whom have a very important part to play to ensure that the service and products we deliver are superior to our competitors in every respect.